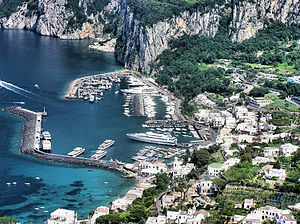 Capri is Italy’s most famous island. It is probably one of the most romantic places for a destination wedding. There are brides everywhere! 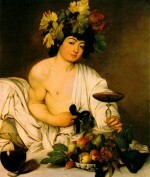 The island has plenty of five-star hotels. 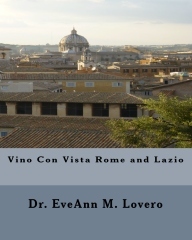 You can travel to Amalfi, Positano and Ravello very easily from Capri. 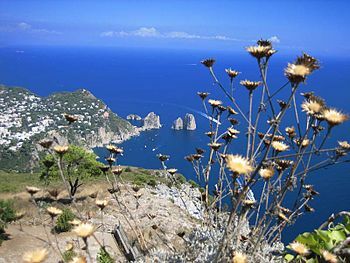 Capri borders the southern edge of the Bay of Naples, where dolomite cliffs soar above the tip of the Sorrento peninsula. The Sorrento peninsula is named after its main town, Sorrento and Sorrento is located on the north coast of the Gulf of Naples. 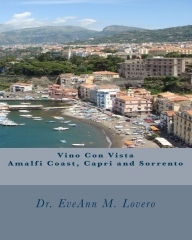 The Amalfi Coast is located on the southern side. 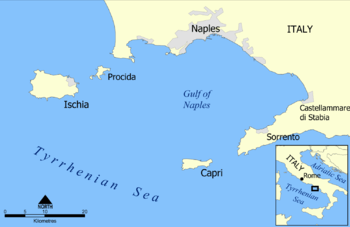 The island of Capri lies off the western tip of the peninsula in the Tyrrhenian Sea. 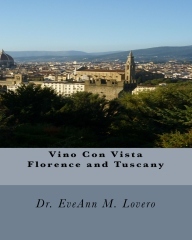 This area is an outstanding Vino con Vista destination! 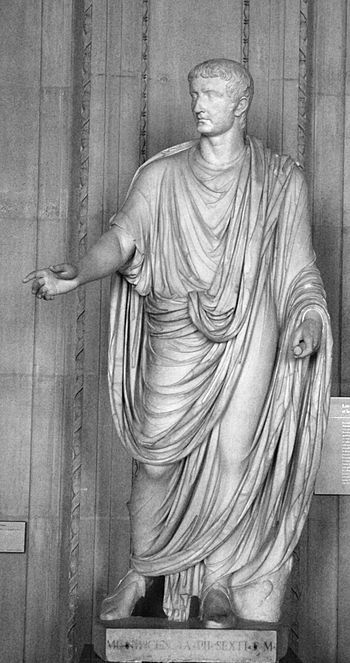 The naughty Roman Emperor Tiberius built 12 villas in Capri and dedicated them to the 12 gods of Olympus. 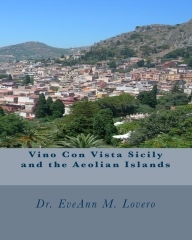 His most impressive residence was his imperial 1st century party villa called Villa Jovis. 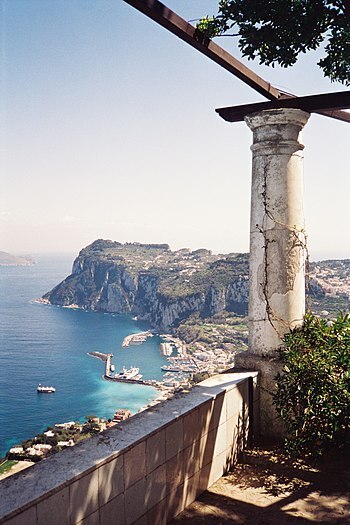 It is rumored that the Greeks named Capri after the Greek word for wild goats “kapriae.” Anacapri is another charming town. 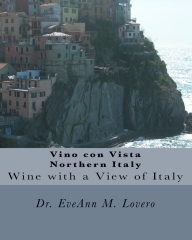 It is perched high above the town of Capri and is carpeted with vineyards. The rocky island of Capri has sweeping vistas, caves, limestone houses with terraced roofs and lush Mediterranean gardens. Mount Tiberio and Mount Solaro are the main peaks on the island. 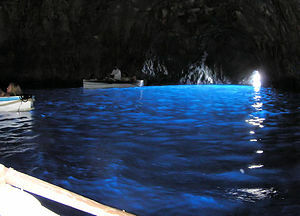 It is also home to the Blue Grotto marine cave nestled in the famous Faraglioni sea stacks on the western side of the island. 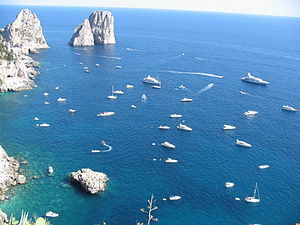 The sea stacks rise from the Tyrrhenian Sea. 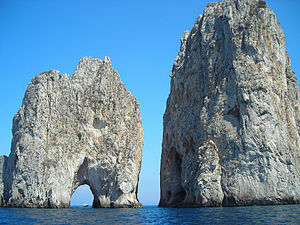 Faraglioni is the collective name for three stacks located off the island of Capri in the Bay of Naples. The stacks are called: Stella which is still attached to the main island; Mezzo and Scopolo. The lacerta viridens faraglionesis are the rare blue-tinted lizards that can only be found on the Scopolo sea stack; this is the natural habitat of rare blue lizard. 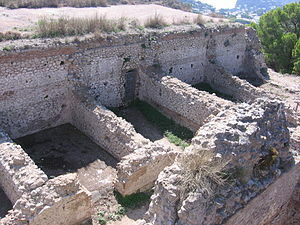 According to legend, the Roman Emperor Tiberius used the grotto as a personal spa. A boat ride around the island from the Marina puts this heavenly destination into perspective.